European Open 2019 registration is in the 4th and final phase. The event is already fully packed all new registrants are issued a queue number and placed on the waiting list. The phase 4 PDGA rating requirements for registrants are 920+ in MPO division and 870+ in FPO division. Register for the event in Disc Golf Metrix. Phase 4 ends on Wednesday, February 20th. The registration closes after that, but additional phases can be considered if necessary. Check here for full info on European Open 2019 registration. Cancellation spots will be issued to players on the waiting list based on their queue number. Queue number is based on the time of registration. Note that if a spot becomes available in the FPO division, it will be issued to an FPO division player, even if a player in the MPO division has a smaller queue number. The wild card application is already available. Players who don’t have a spot in the event yet are recommend to fill the application form here and follow the instructions. All players, including wild card applicants, should also register for the waiting list. European Amateur Open 2019 registration begins on Thursday February 7th. Check here for a handy registration guide. Presidents Cup 2019 qualification criteria and schedule will be announced in February. Stay on top of the European Open 2019, follow the news here at the event website and in social media: Facebook & Instagram. European Open is the leading professional disc golf event in Europe. 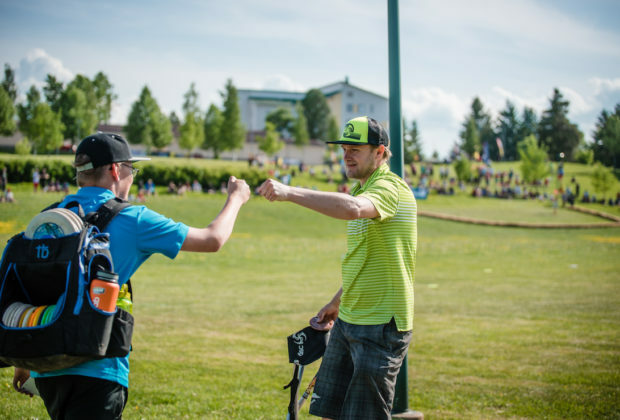 Top players around the world gather to Nokia, Finland, to compete for the PDGA Major title. © Copyright Innova Europe. All rights reserved.